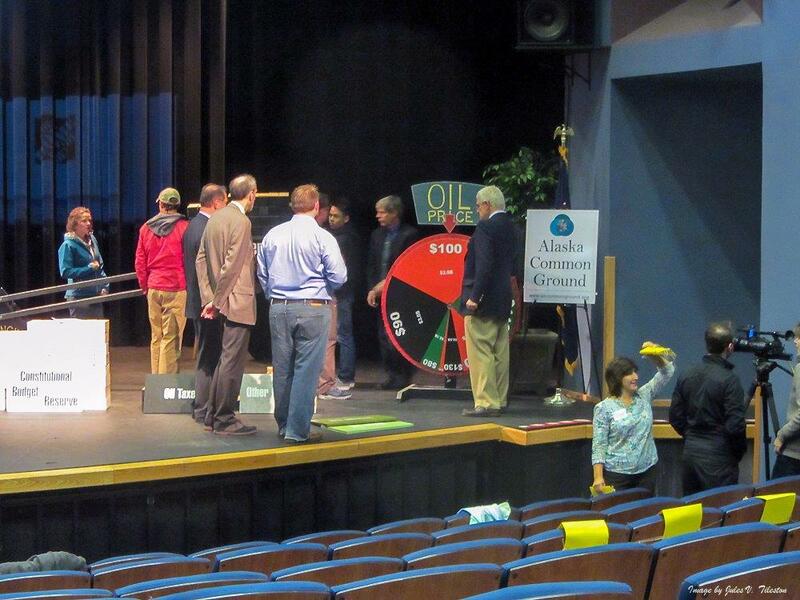 Before a packed audience in Anchorage on Wednesday night, two sides sparring over the oil-production tax cut agreed on some issues, including that investment and jobs increased under the former tax system. 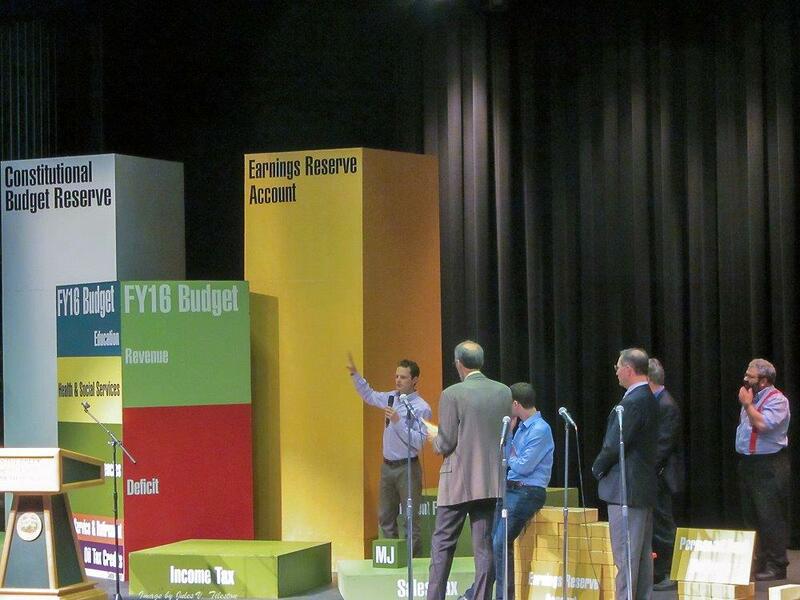 But the teams disagreed strongly on whether the tax cut will pay for itself. In one corner were Sen. Bill Wielechowksi and economist Gregg Erickson, arguing in favor of repealing the cut. 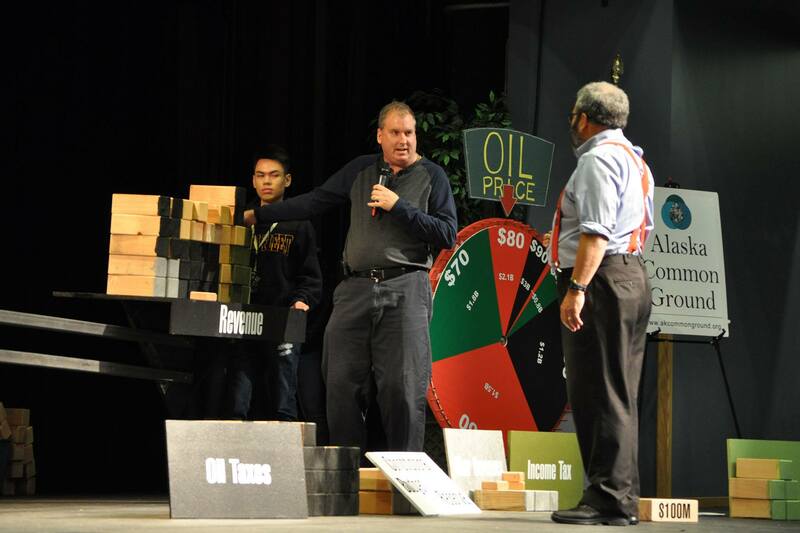 In opposition were Brad Keithley and petroleum economist Roger Marks. 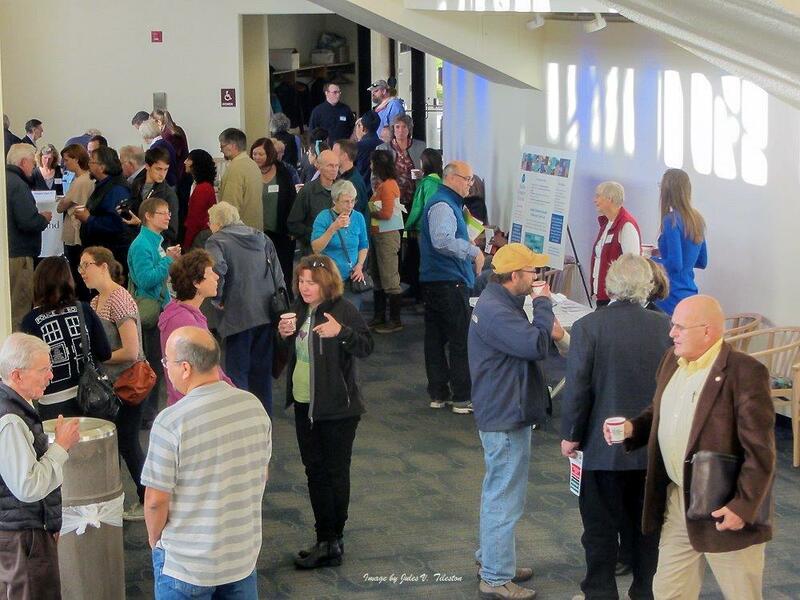 With less than four weeks until voters choose between the two tax systems, more than 250 spectators crowded into the Wilda Marston Theatre at Loussac Library. 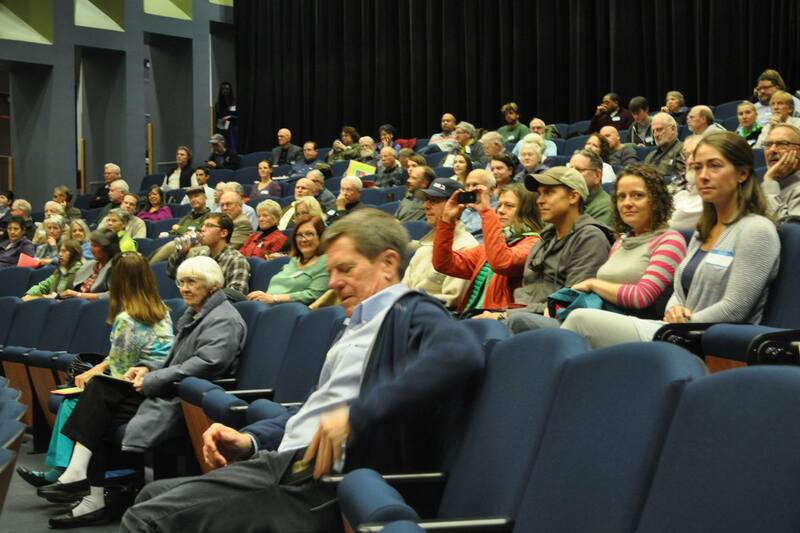 Dozens more were turned away because of space constraints in the theater, where it was standing room only. 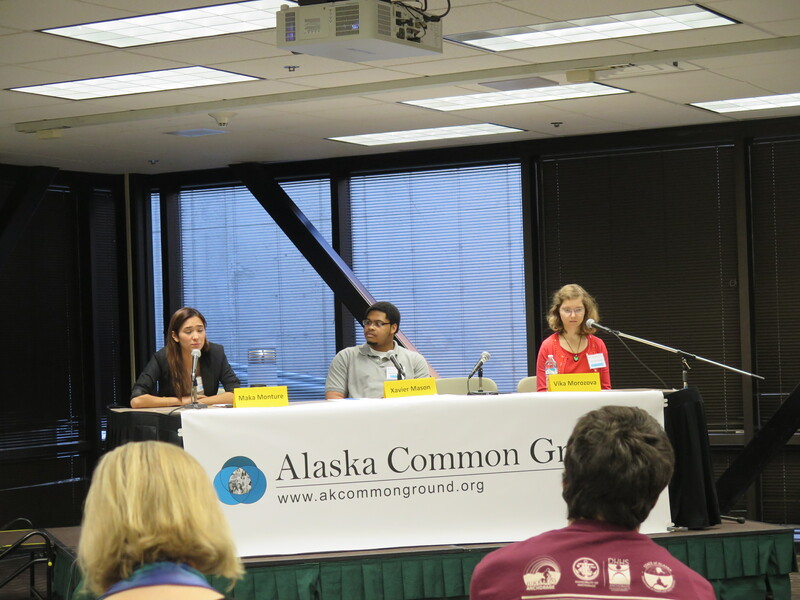 Organized primarily by Alaska Common Ground, the debate was the first in a weekly series of forums focusing on the four ballot measures Alaska voters will consider this year. This debate was different from previous tax cut debates, with panelists asking the questions instead of a moderator, leading to more back-and-forth and sometimes pointed exchanges. Meantime, the audience — generally older and cheering loudest for repeal arguments — submitted more than 50 questions, only a few of which could be addressed before time ran out. Erickson, often jabbing at his opponents for private work they’d done for the oil industry, said the “spin doctors” at the Parnell administration — or maybe it was the oil companies — made a brilliant move when they dubbed the tax cut the More Alaska Production Act after its passage in 2013. Erickson said tax breaks increase the chance of investment in the oil patch, which increases the chance more oil will be produced. But the real issue is not more production, he said. It’s whether the tax cuts will pay off for Alaska. Paperwork he distributed at the meeting claimed the tax cut would be a huge loss for the state, costing $20 for every $1 in return. 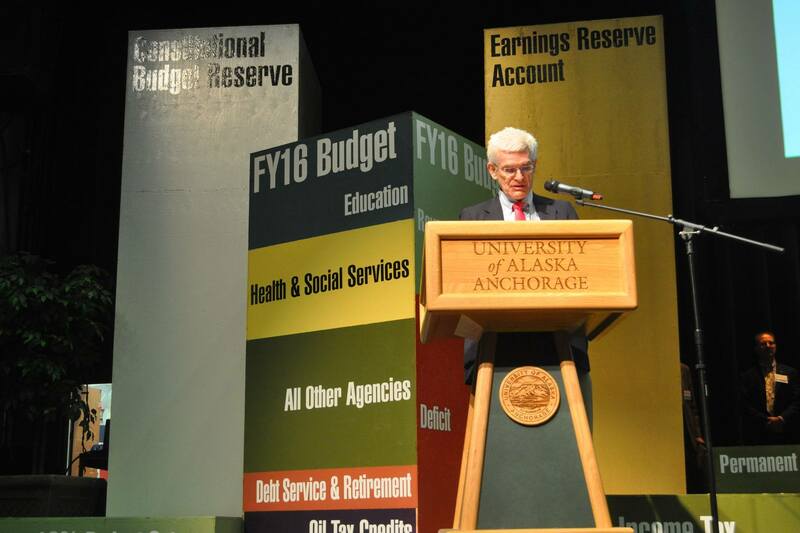 Later, relying on state figures, he said that if the More Alaska Production Act had been in place since 2007, instead of the former system known as Alaska’s Clear and Equitable Share, the state would have taken in $8.5 billion less in revenue. Wielechowski said under the tax cut that became effective this year, production that is considered “new oil” — which gets bigger tax breaks than the “old oil” produced in the large legacy fields — will be a net loss for the state, with production-tax revenue smaller than the credits paid out. The state’s own figures show a 45 percent drop in oil production in 10 years, to about 285,000 barrels per day from about 500,000 today. 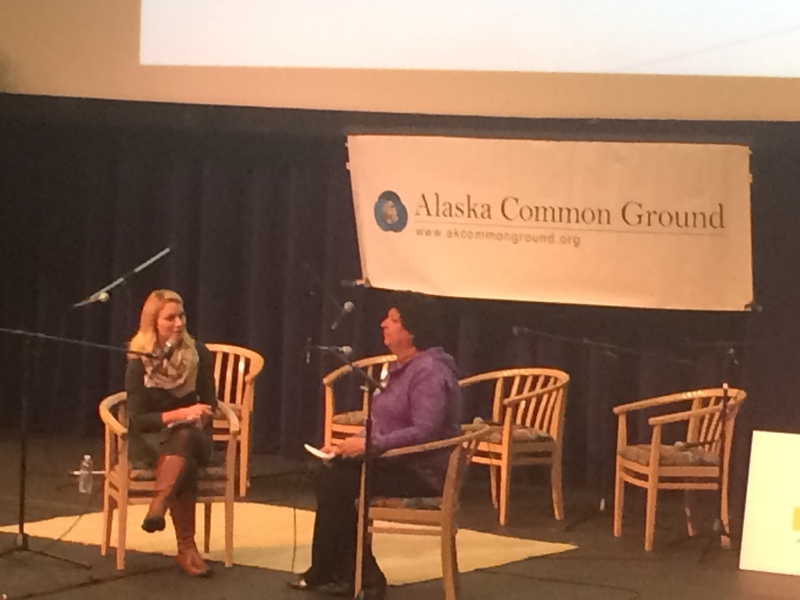 In a matter of years under the More Alaska Production Act, the state will be broke, he said. But Keithley and Marks said state figures aren’t taking into account production that will come on line now that the progressivity feature that hiked taxes on oil producers as crude prices rose — and led to sharply falling production — is gone. 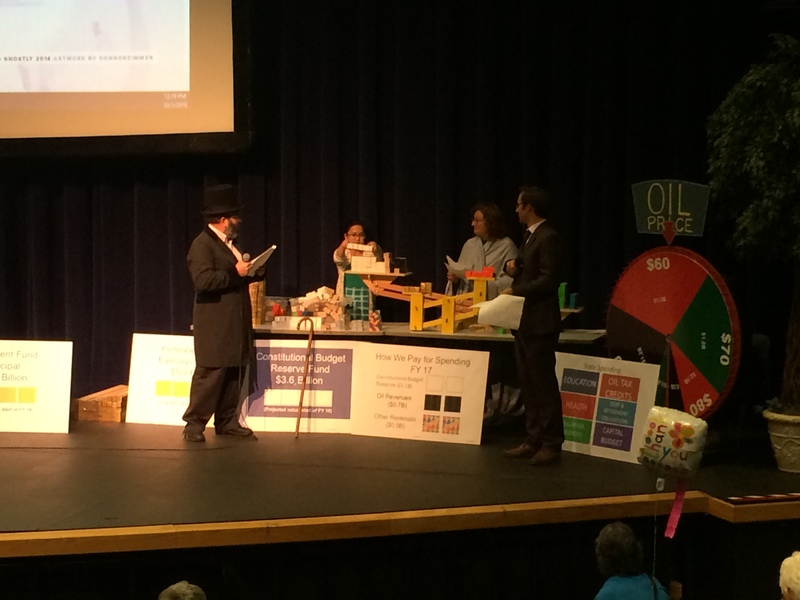 They argued that only a small increase in production is needed for the More Alaska Production Act to pay for itself. Marks, a former state employee who helped write past oil tax laws, said that under certain conditions, only 30,000 to 40,000 barrels per day of new production would be needed for the tax cut to pay off. That’s a fraction of the 4 billion barrels of proven oil reserves on the North Slope. Keithley said the former tax regime led to more jobs and investment, but not results. The state spent hundreds of millions dollars a year subsidizing small companies’ unsuccessful exploration efforts. Meanwhile, taxes rose on BP, ConocoPhillips and Exxon Mobil Corp., the companies most likely to increase production.